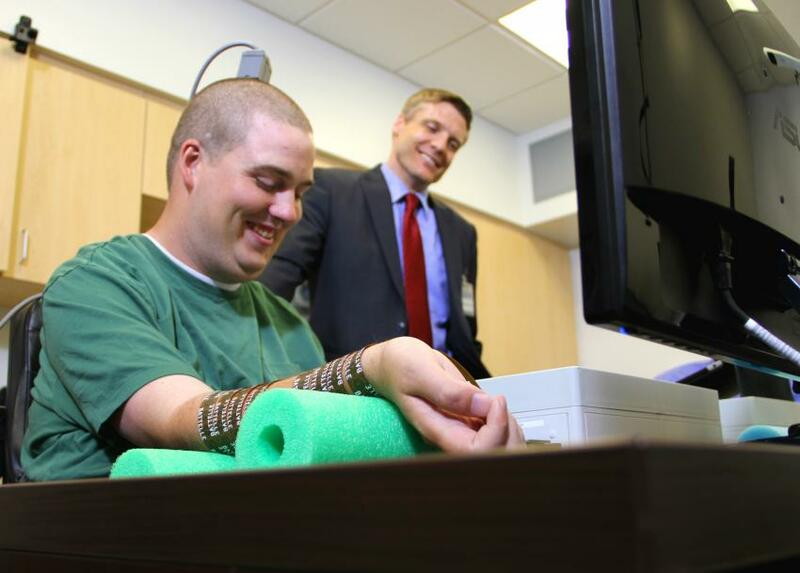 Amazing advances in technology allow this quadriplegic man to move his hand and fingers using a chip in his brain which sends messages bypassing the spine. This sort of technology could help people overcome spinal injuries in ways that previously haven’t been possible. A chip smaller than a pea has been inserted into the area of the brain responsible for arm movements. The chip then send signals to an electrode stimulation sleeve on the mans arm.